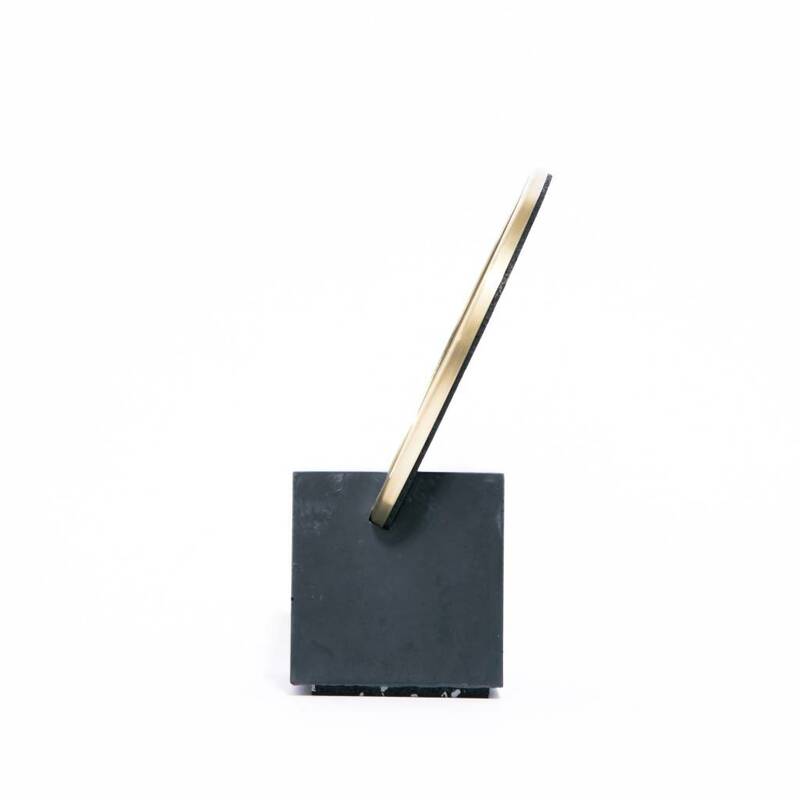 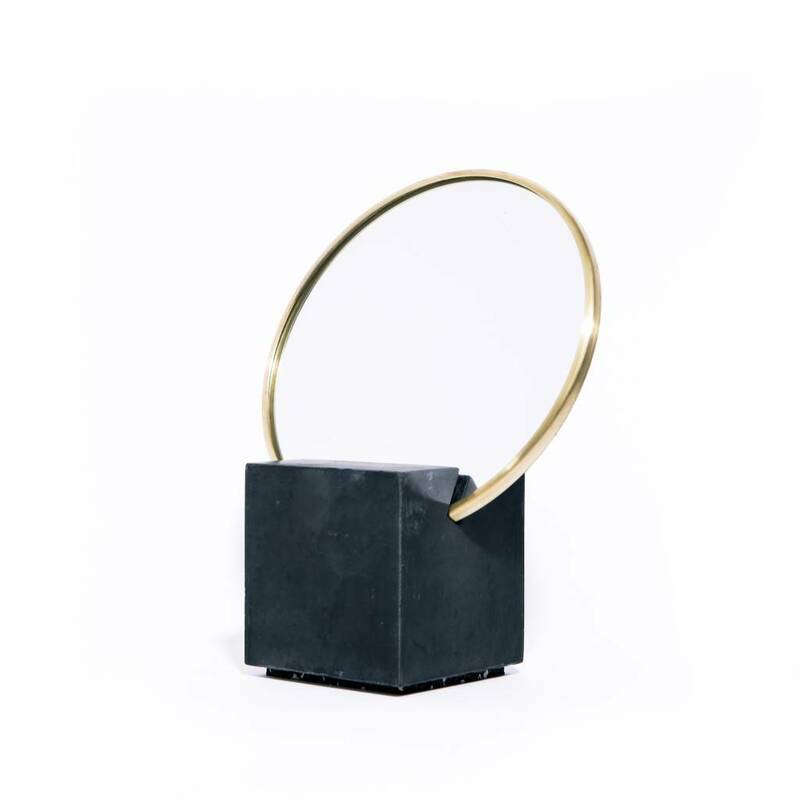 The Slash Objects line integrates the use of an industrial material made of post consumer recycled rubber. 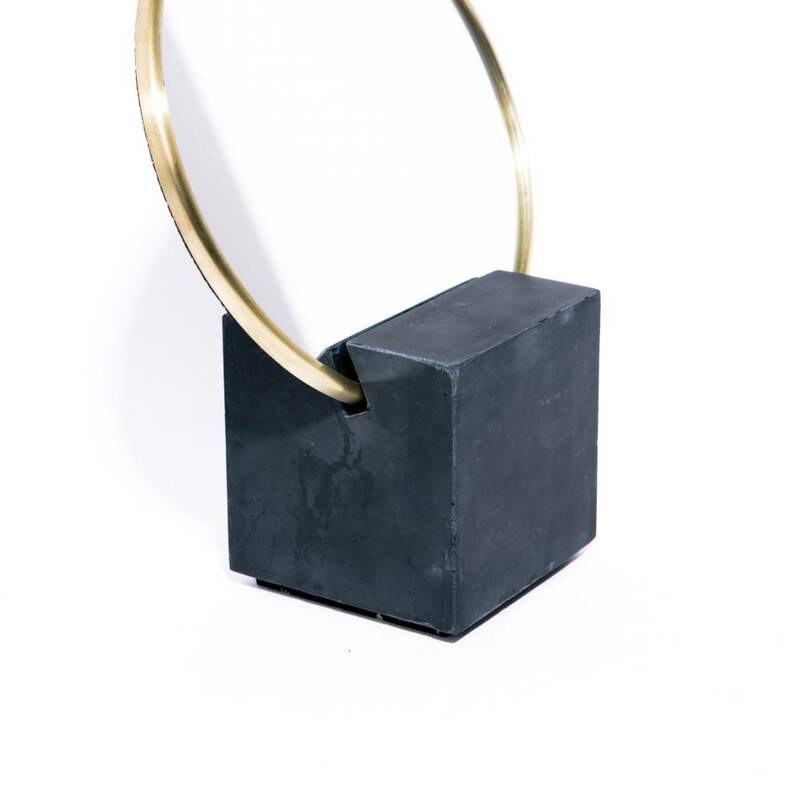 By pairing rubber with brass, marble and concrete, the collection imagines new ways for materials to come together. 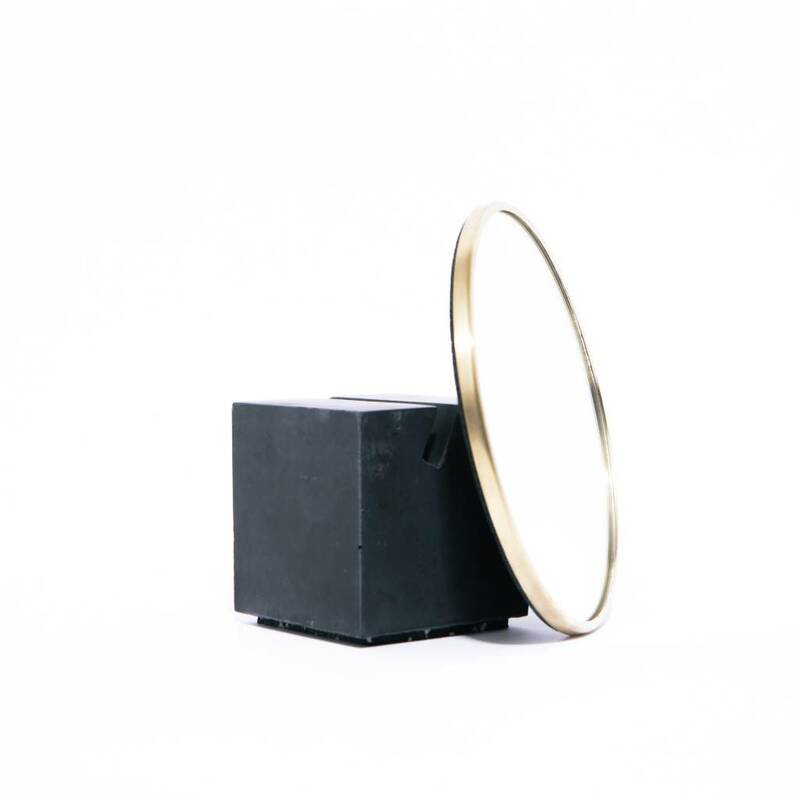 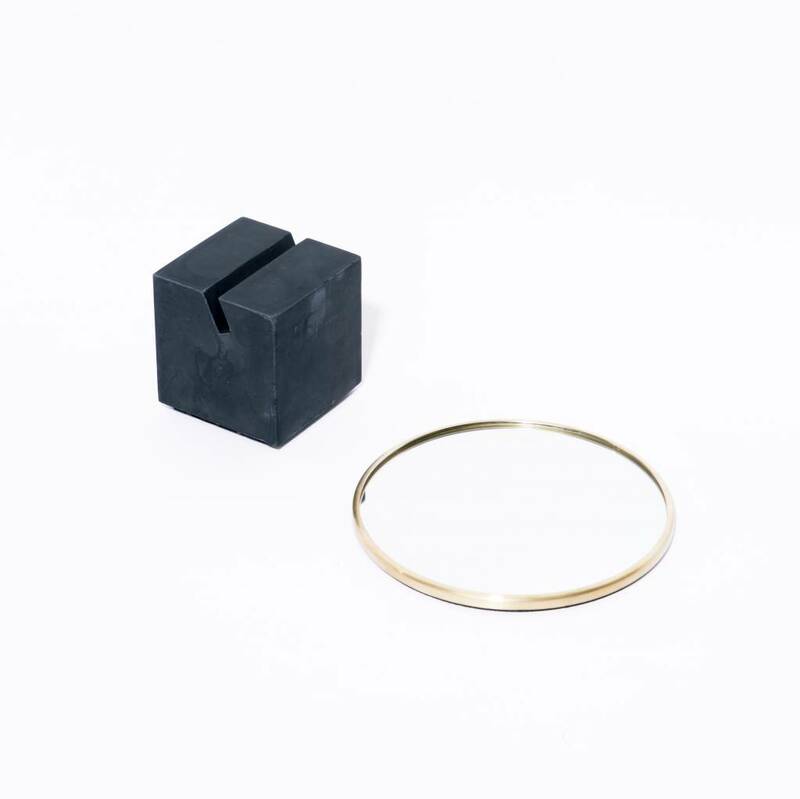 Cube base with 6" round mirror, brass edges and rubber backing. 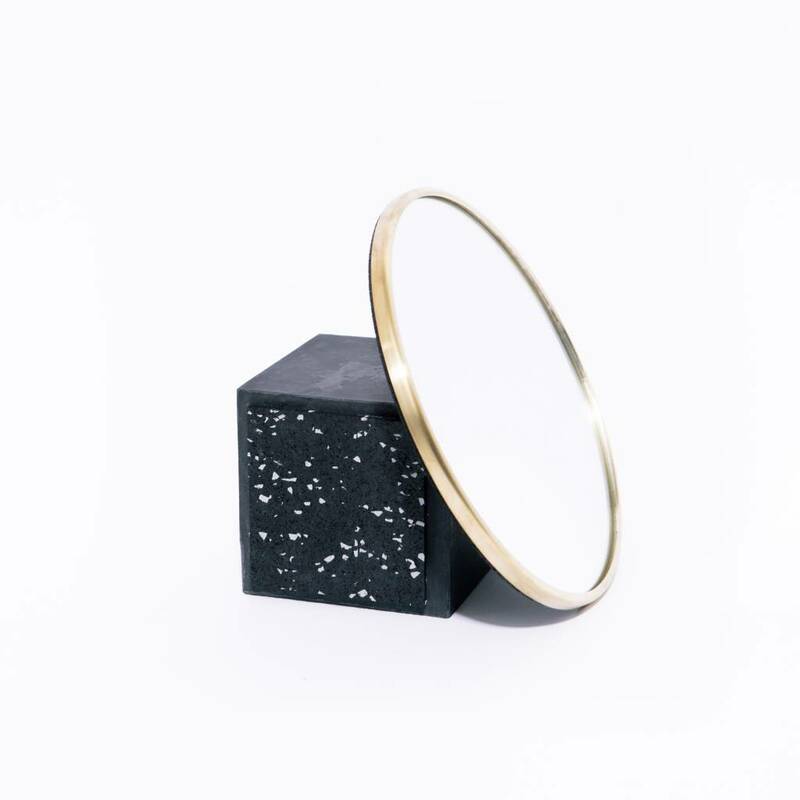 The perfect addition to your desk or vanity.